I wonder why was Carnation selected to be The Mother’s Day Flower? 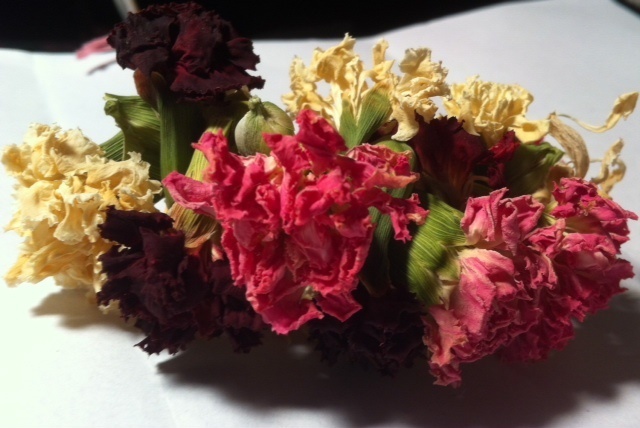 From the wreath I made almost two months ago, it tells me, Carnation fully deserved to be The Flower of Mother’s Day . Just by looking at the color of the flowers. Even the flowers were dried, the color was still as garish and beautiful as can be! To me, the color signifies mother’s love. “This bonsai of flowers is a combination of love.” My mother told me. Roses and carnation symbolizing the worldly love . 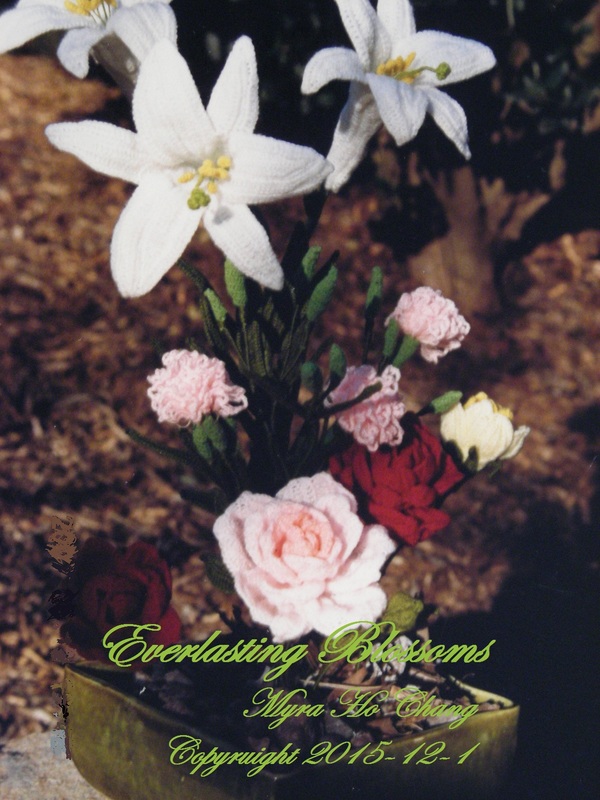 Lily, the Easter flower, symbolizing the love of God. Remind us that God send His Only Son, Jesus Christ who came to earth, suffered and died on the cross of us. And on the third day He rose again from the dead, in order to complete God’s love. My mother was converted into Catholic around her early 50 s. Though she didn’t go to church regularly, but her devotion to God was deeply planted in her heart. C-22 Water lily is on the way!